The C-118 was first proposed near the end of the Second World War as a slightly enlarged and pressurised version of the C-54, and was given the designation of XC-112. The new aircraft was to be powered by the more powerful Pratt & Whitney R-2800 in place of the C-54's R-2000s. By the time the C-112 flew, the war had ended, and the military had cancelled the project. 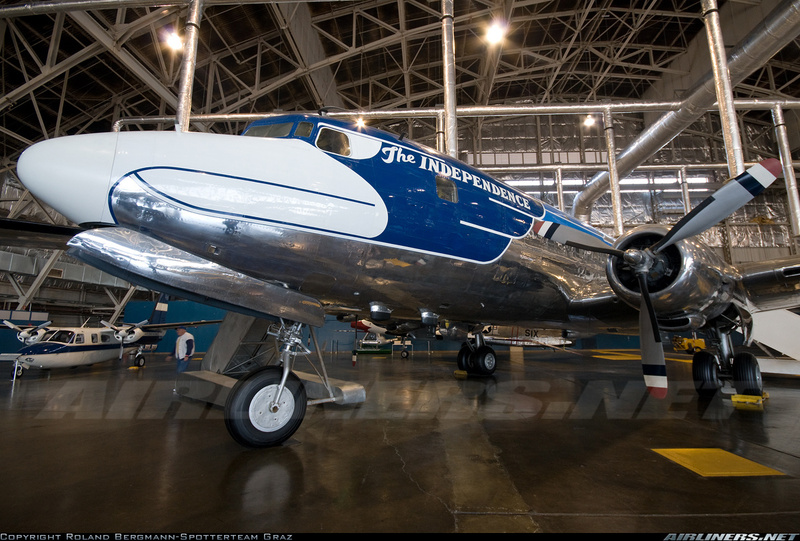 Douglas redesigned the aircraft for the civil market and thus the DC-6 was born. It was an immediate success with the airlines, and competed directly with Lockheed's Constellation. Later, the lengthened DC-6A and B models were accepted into the USAF as the C-118 Liftmaster. 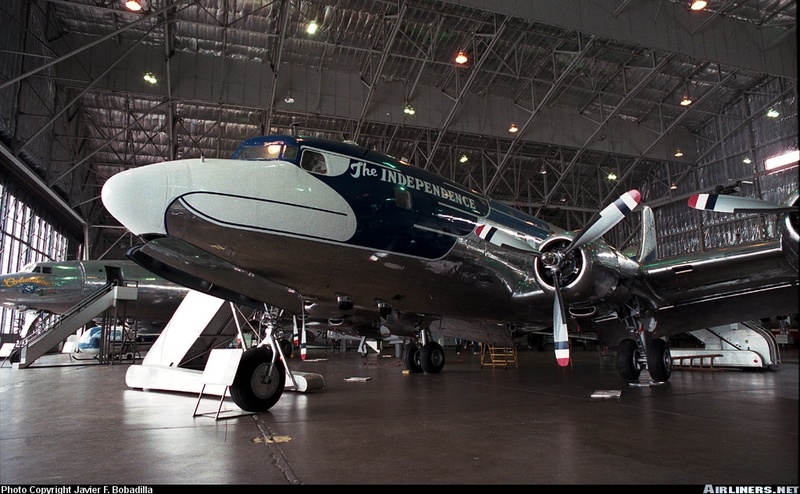 One standard-length DC-6 was purchased to serve as a transport for President Truman. It was equipped with state of the art communications equipment to allow the President to remain in touch with his staff, and a luxurious VIP interior including a meeting room and bedroom for the President. This kit is very similar to Roden's DC-7, which was itself very similar to Minicraft's Douglas propliners. It's really true that there's only one way to engineer a model of a DC. There's a small amount of flash, and the edges of the fuselage will need a trifle of cleaning up in order for them to mate properly. The plastic is nicely smooth, which contrasts favourably with the DC-7. As with the DC-7 there are no locating tabs. The fuselage is two halves from the nose cone joint to tail. The kit allows for either the radar nose or the earlier blunt nose. This time there's a mount for the nosewheel strut, which will ease that portion of the build considerably. The fuselage is moulded solid, to allow for the many different window configurations Douglas produced for their customers. Roden got the fuselage length correct for a short-fuselage DC-6, which will make it look nice between Minicraft's DC-4 and DC-6B. When compared to the Minicraft fuselage with the wing openings aligned, the tail is just slightly shorter, and the nose very much so. The rudder is moulded into the left fuselage half. It remains to be seen whether there will be a gap. Roden offers separate antennae, which will allow the modeller to portray the many different antenna fits the DC-6's various operators had installed. This boxing includes the special communications antennae unique to this aircraft. The wings are a one piece lower half, with a portion of the lower fuselage and each upper wing is one piece with the tip moulded solid. The mould mark that plagued the DC-7 does not appear to have made it to this model. The ailerons and a portion of the trailing edge of the flaps are moulded onto the upper wing halves. Take the time to dry fit and adjust to eliminate any potential problems. The tailplanes are one piece mouldings with substantial mounting tabs. Since it will be unnecessary to avoid any cheatline, they may be glued in place before painting. The engine nacelles are moulded in two halves which trap an engine face disk. This boxing provides the standard DC-6 paddle blade propellers, and also the VC-118's less common round tipped propellers. Although they're not needed for this model, the spinners are separate pieces, as was the case in the DC-7 boxing. This will mean that the allignment problems that happened with the DC-7's spinners will persist, except that the propellers are one piece this time instead of the separate blades offered with the DC-7. It remains to be seen whether Roden got the engine face diameter correct. The exhaust outlets are correctly moulded into the outboard nacelle halves only. The engines will have to be drilled out to accept the propeller shafts. The landing gear struts and wheels are finely moulded and nicely detailed. Take care to study photographs depicting how the struts mount into the wheel wells. The instructions would have you mount them backwards. The Y portion of the strut leans backwards putting the main portion of the strut aft of the gear mounts, not forward as Roden has drawn them. There are 2 optional nose wheels. As with the DC-7, the wheel with the solid hub suffers from sink marks. Fortunately, most DC-6s used the spoked wheel. Unfortunately, photographs show that the VC-118 used the solid hub. Roden gave us a torque link for the nose wheel, something that had been missing from the DC-7 kit. The decal sheet offers only one option, The Independence as flown for President Truman. The aircraft is overall natural metal with a large stylised eagle's head taking up much of the nose. The decals are nicely printed, fairly crisp and glossy. These are Roden's new decals, and as such are a quantum leap beyond the decals Roden was infamous for. The cabin windows are catered for by decals, which even include the side windows of the windscreen, given that they're surrounded by the eagle markings, but the front windows are not on the decal sheet. Roden really needs to start giving us decal windscreens for these models, especially for this scheme. The eagle's beak is white, and must be painted; only the black outlines are on the decal sheet. This will require a bit of careful masking to achieve the correct shape. The tricolour propeller tips are provided as decals, which will make doing the propellers much easier than my previous DC-7 adventure. 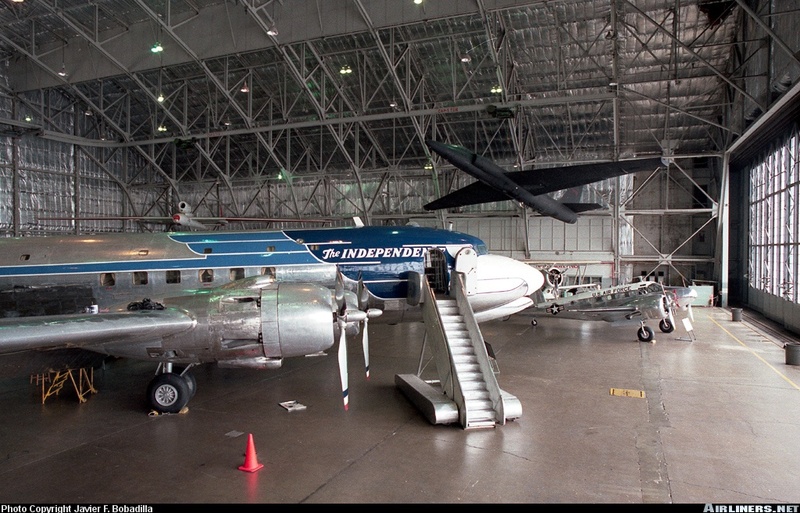 The Independence in the USAF Museum. Highs: The first short fuselage DC-6 to be kitted in any scale. Lows: Some inaccuracies in the instructions. This is still a limited run kit despite its sophistication. Verdict: This will look good in 1/144 collections. Some modelling skills will be required to build it accurately.